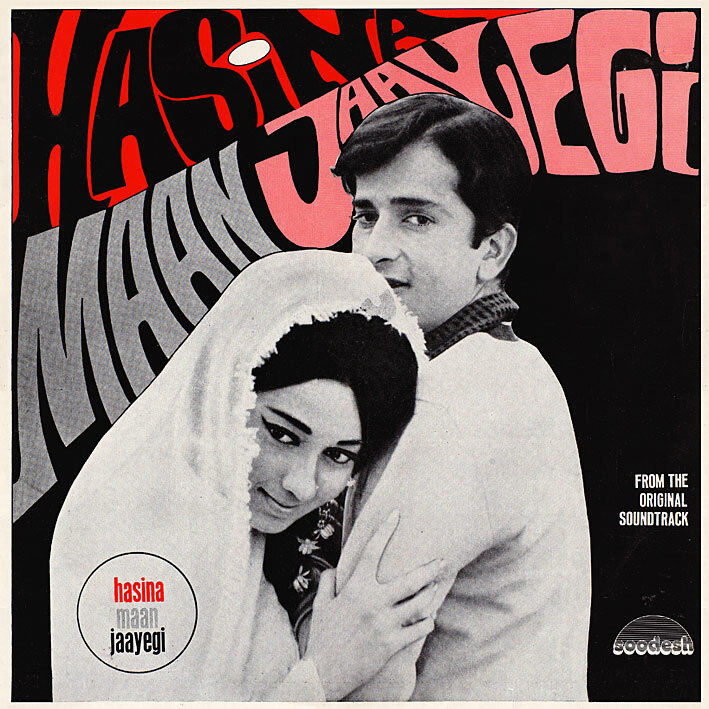 'Hasina Maan Jaayegi'; a nice but not quite great Kalyanji Anandji score from the late 60s. There are several tracks on it that fall into the "sounds promising" category... containing intros or other bits that have me thinking "hmm, this could be good" but then subsequently fail to deliver. 'Dilbar Dilbar Kahate Kahate' is probably the best one... a fun and chirpy Hindi rock'n'roll number reminiscent of Shankar Jaikishan's contributions to the genre, though not as good as their best ones. 'Be Khudi Main Sanam' is alright as well; atmospheric and/yet upbeat. 'O Dilbar Janiye' has potential but is lacking in something... a strong melody maybe? And the multi-layered, 8 minute plus 'Suno Suno Kanyaon Ka Varnan' has loads going on, some but not all interesting. PC, I am seriously looking for HABARI by Sapan Jagmohan. Could you help me find? I have 2 songs from the movie. They are awesome! Thanks again buddy! Hey, it's worth a try. Bunch of Rafi, too... Thanks!